In November 1967, whilst at Keele University, I was involved in the student magazine Unit – edited by Tony Elliott, who was to go on to found Time Out. I suggested a Hendrix piece, as the Jimi Hendrix Experience was due to play at Manchester University Students Union. 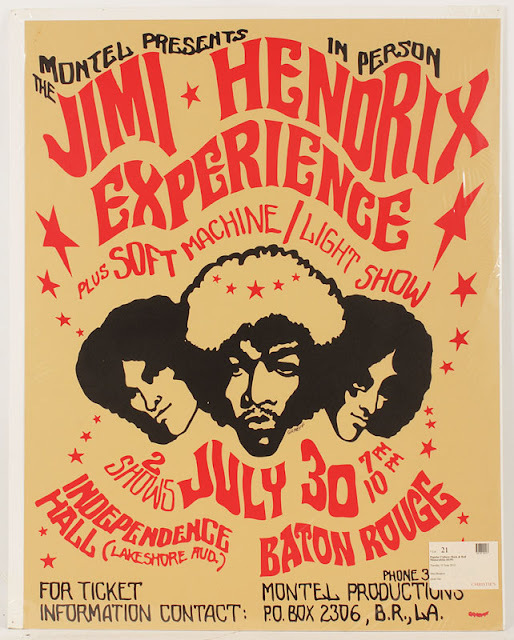 In the period since the first interview, Jimi had become a megastar and was packing in audiences up and down the country and into Europe. I travelled to Manchester with some friends and we made our way to the gig. 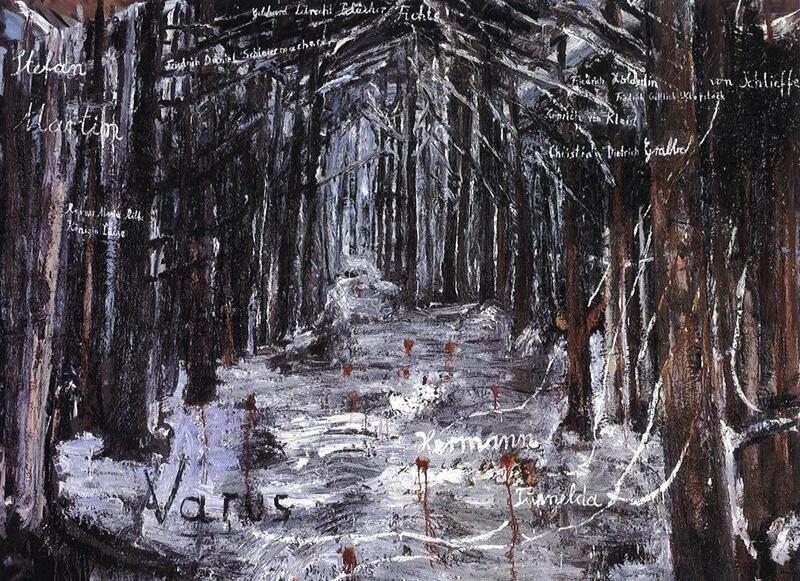 I didn’t think much about it at the time, but soon after, on reflection, I appreciated this as the mark of the man. 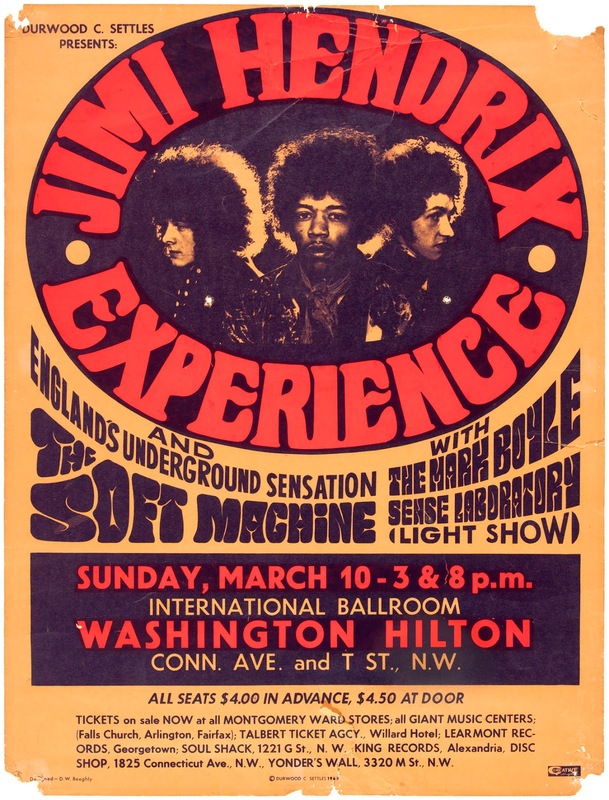 Since I’d met him nine months previously, Jimi had experienced incredible success, fan adulation, and had accrued all the trappings of what was to become “the rock-star lifestyle” – hangers-on, sycophancy, pressure, freely available narcotics, etc. But he still remembered my name and behaved like a perfect gentleman, which is the way I always remember him. I heard you were in a group in New York with Tim Rose and Mama Cass. That’s not true. It was another Jimmy. We just happen to have liked “Hey, Joe.” I seen Tim Rose about one time in the Village, for about half a second, and this is after we went back to the States. He tapped me on the shoulder and said [imitates a stoned-sounding voice], “Hi. I’m Tim Rose.” And then he disappears. All this happened within a third of a second. I like his songs, but that’s all I’ve ever seen of him. What are you trying to do with your new LP? I really can’t say. It’s very hard to explain your own type of music to somebody. Unless you have a very definite idea of where you’re going, it doesn’t really make any difference which direction you choose, as long as you’re really honest about the songs you write. What do you think about the commercial pop scene right now? [Simulates a confused stutter] Well, have you heard the Marmalade and their record “I See the Rain”? I don’t understand why that wasn’t a hit. Because they have no name and no publicity? We didn’t have a name when we first started. But you had the publicity. But we earned it, though, didn’t we? I think we did. My hair is breaking off now from the hard English water. I’m almost going bald. I guess I used to have it cut much longer. What level are you aiming for when you make a record – the kids? No, not necessarily. We quite naturally want people to like it – that’s the reason for putting the record out. You see, I have no taste. I couldn’t say what’s a good record and what’s a bad one, really. We play records at the flat sometimes and say, “This is great,” and then somebody will say, “Oh, yeah, but it’s something else.” Then they say “That’s terrible,” and I’d say, “That’s great – the tremolos, for instance.” [Laughs.] So I don’t have no feeling about commercial records. I don’t know what a commercial record really is. So what we do is write and try to get it together as best as possible for anybody who’d really dig it. It doesn’t make any difference who. How big a part do visuals play in your stage work? You just do it when you feel like it sometimes. I didn’t feel like leaping about tonight too much. I used to feel I had to do it, but not anymore. Man, you’d have a heart attack if you were doing it every night like we were doing it two or three months ago. We’d be dead by this time. Anyway, you can’t do it right unless you feel it. Half of the things I do I don’t even know it, because I just felt like it at the time. If you have everything planned out and one little thing goes wrong, you think, “Oh, no! What am I supposed to be doing now? Oh, yeah, I’m supposed to be going like this – do do do de do. ‘Hi, everybody. I’m doing it.’” So you’d really be in a world of trouble if one little thing goes wrong. Do you think you’re a changed person since you came to England? I didn’t used to talk so much before. No, that’s alright. [Laughs.] Ho hum. I’m as good as bunnies – and you know how good bunnies are. Noel Redding: Talk to Mitch. He’s got a very good voice. What would you think if people went off on you like they do with Dylan? [At this point, Jill Nicholls from the Manchester Independent asked Jimi the following question] Mr.
Hendrix, is there anything you want materially? [Noel and other men in the room burst into laughter.] Jimi: Eh? There’s a whole lot of things left – thousands of them. I see them downtown every day. Millions of ’em. Ohh! Marvelous! Steve: Do you ever think about going back to the States? I think about it every single day. I really miss it, like the West Coast, because nothing has happened for me. I just like to be out there. I like the weather, the scenery, and some of the people. You can buy a chocolate milkshake in a drugstore, chewing gum in a gas station, and soup from little machines on the road. It’s great, it’s beautiful. It’s all screwed up and nasty and prejudiced, and it’s great and beautiful. It has everything. The same things we hear from there now about the troubles is the same things we hear from Russia – it’s just propaganda, just like Radio Free Europe tells the Russians. 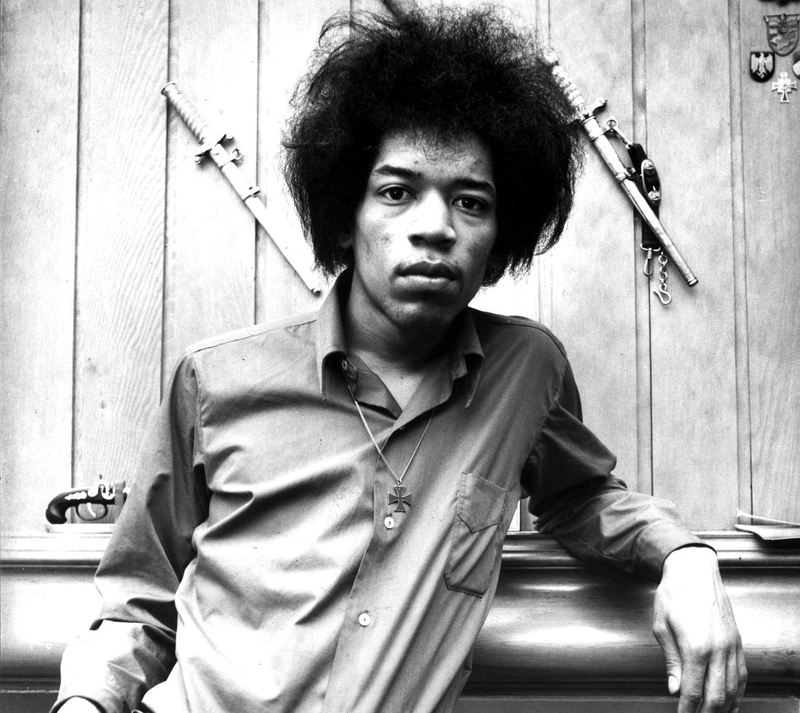 [At this point the road manager asks Jimi if he will do a photo shoot, but Jimi continues.] In the States I was playing behind other groups. And for only the first two months before I left the States, we was playing in the Village. I had my own group and we had offers from record companies all over the place, but I don’t think we was ready then. So finally I came over here [to England] with Chas Chandler, with the main ambition to get a group and try to make with something new, whereas in the States I’d been playing behind people like Joey Dee. I don’t dig playing in Top-40 R&B groups. They get feedback in “Midnight Hour.” You can’t do nothing free – everything is completely precise. We came over here with one purpose, and that was to make it. That’s the whole scene. As soon as we start getting behind the times, that’ll be the time to give up. That might be tomorrow evening about 5:45, but we’ll try for as long as possible to keep our own sound, regardless of how it might change. [Jimi notices Steve’s microphone] What a pretty microphone! Yeah, it’s cute, isn’t it? Steve Barker lives in Beijing, China. He produces and broadcasts “On the Wire,” a music show for BBC Radio Lancashire in the UK (www.otwradio.blogspot.com ). He is also the regular dub columnist and contributor for the Wire magazine (www.thewire.co.uk ) and regularly DJs dub sets at clubs in Beijing and Shanghai. Many thanks to Steve Barker for his kindness. 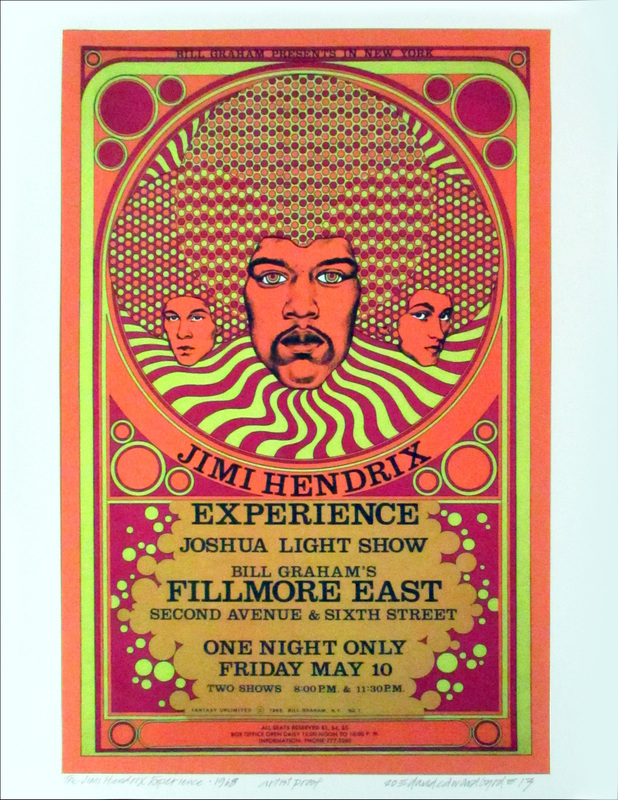 On arriving I found the dressing room packed with people, including Mitch and Noel – but no Jimi. 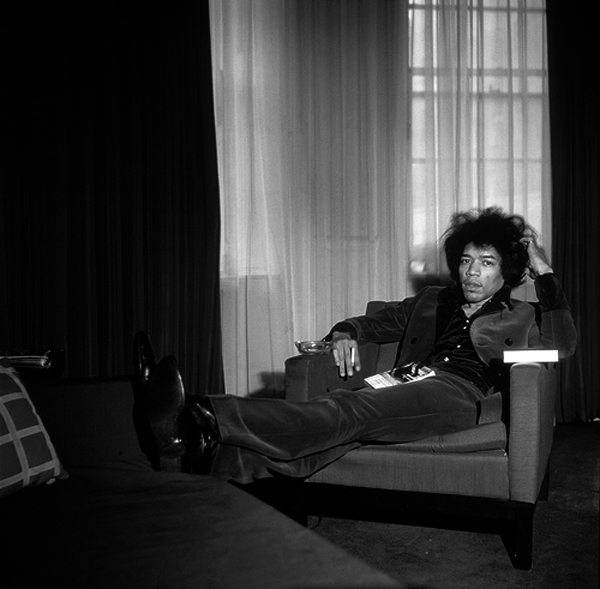 I asked where he was and someone said “Check next door.” I entered the room to find Jimi alone, leaning on a radiator next to a window about fifteen or twenty feet across the room. He looked up and said, “Hello, Steve. How are you?” I didn’t think much about it at the time, but soon after, on reflection, I appreciated this as the mark of the man. Since I’d met him nine months previously, Jimi had experienced incredible success, fan adulation, and had accrued all the trappings of what was to become “the rock-star lifestyle” – hangers-on, sycophancy, pressure, freely available narcotics, etc. But he still remembered my name and behaved like a perfect gentleman, which is the way I always remember him. Steve Barker: [Into microphone] Testing 8, 12, 0. The blurb on your first LP says you are trying to “create create create.” Are you satisfied with what you’re creating? We like to have our own sound, but we’re not satisfied, not yet. You might be pleased with what you’re doing once in a while, but never really satisfied. We’re pleased with the LP we’ve just finished, for instance [Axis: Bold as Love], but the ideas we got out of it could go on to our next one. How far can you go with the music you’re playing now? I don’t know. You can go on until you bore yourself to death, I guess. You got to try something else. You write all of your own material. Where does it come from? Just from me. It’s like . . . er, where does it come from? I’m not sure. Like, we go to clubs a lot and all around, riding in taxis, and you happen to see a lot of things. You see everything, experience everything, as you live. Even if you’re living in a little room, you see a lot of things if you have imagination. The songs just come. [Steve quotes a line from Jimi’s “Burning of the Midnight Lamp.”] “Loneliness is such a drag”? That’s what it is. It really is sometimes. That was the song I liked best of all we did. I’m glad it didn’t make it big and get thrown around. Does this mean you’re an introvert? Well, sometimes. Right then when I wrote “Midnight Lamp” I was, but really I have to catch myself and find out. I was feeling kind of down like that. 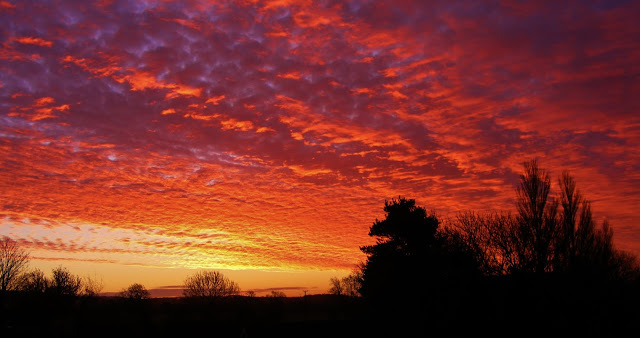 So you go on into different moods, and when you write your mood comes through. So you can go back and listen to your own records and know how you were feeling then and how your moods change at different times. “Loneliness is such a drag” is a kind of whispery, quiet thing. How come you put these words in among powerful, extroverted music? I like to play loud. I always did like to play loud. The words of the song just come. They mean a lot, but I don’t know how they come out. It starts off very quiet until we get into it. How much do you owe to a blues background? No necessarily anything! I went down South and just listened to the way the people played, and I dug it. But then I like a lot of other things too – that’s why we try to do our own stuff, make something new. There’s been a lot of controversy over the responsibilities of pop stars. Do you yourself feel any? That’s silly. Whatever a cat does in his private life should be his own business. Everybody knows this. But you can say it a million times, and it still won’t get through to some people. I really don’t feel responsible too much to myself – maybe that’s all. There are so much other things inside that you feel you can do. There are so many things on my mind. I could start again now – a year of creative work for us is like nothing to a lot of other groups. Do you ever feel like going away and sorting yourself out, like Bob Dylan did? I think that’s going to have to happen soon anyway, because everyone’s getting so tired. You work so hard sometimes, and it gets to be really frustrating. . . . Just around now it’s coming up to winter, and you’ve got to give everything a chance to work up in the spring. It’s natural. That’s when everything happens anyway – you know this – so everyone’s going to have a heart attack just ’cause the flowers are lowering their heads for a second or two. What’s happening to you in the spring? If I don’t get hit by a car or a train, I’ll be around. How come you got caught up in the hippie scene? What do you mean? 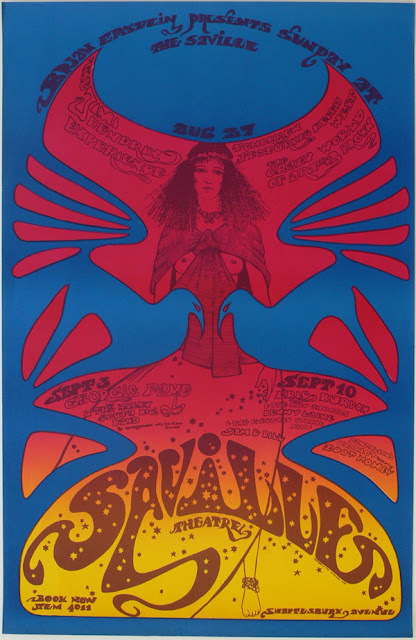 [Writhes and says in a deep voice, “I’m a hippie, I’m a hippie, baby.”] No, it just happened to come about that we were around at the time of psychedelia and all the in clothes. I dug that scene, but not necessarily what you call the “hippie scene.” ’Cause I don’t like classification anyway, regardless of the scene. We just happened to be playing freak-out and psychedelic things, but it does bother us because “psychedelic” only mean mind-expansion anyway. I can’t hear one single word the Pink Floyd are saying. It happens to us, but that’s just anybody’s opinion. There’s so many other types of music – we just happened to be in that groove, that bag, right then. Do you try to communicate by words or sound when you’re onstage, or both? Most of the songs we’re doing now, people know the words, I think, but it probably doesn’t mean much to them. They just want somebody to break their neck onstage. Does this mean you write primarily for yourself? Oh, definitely. One song we did called “I Don’t Live Today” was dedicated to the American Indian and all minority depression groups. All I did was just use a few words, and they said, “What does that mean? That doesn’t mean anything.” Eeurggh! ’Cause it was only three or four lines in there anyway. How about straight piss-talking, like the Mothers of Invention? I like to listen to them, but we do our own thing. You know, we had a chance to go into that bag ’cause everybody’s mind is still open, but we decided we didn’t want to go that way completely towards strict freak-out. I hit the harp on our next LP [laughs]. The words are very, very important on this next one. Do you still dig Donovan and his golden underwear? We go over to his house, but he’s in the States now. We have a lot of fun together. You said the love bit wouldn’t last – looks like you’re going to be right. This scene’s like bells and everything and all those little pseudo hippies running around flashing their little “Love, Not War” badges. Those kind won’t last because they’re going to hop on the next train, any train, that comes close to them and is easy to hop. But you don’t really know anymore what a hippie is supposed to be. Is stage work still the most important part of your scene? Well, tonight I was so frustrated, man. We just couldn’t get it together because we haven’t been playing in so long. We’ve been working on the LP. If we did those songs now, they’d miss half the words because the P.A. went out, and we were playing so loud. So it wouldn’t mean nothing to them if we did our new songs. Now we got to wait till the LP comes out – then we can interpret them so much better. It’s so frustrating now – we’re playing the same old songs, and they expect you to do this and do that, and then your guitar gets out of tune and you don’t get a chance to play well. I don’t like laying around. I like to play all the time. You once wanted to do the old Bukka White song “Fixin’ to Die” as a single, but it never came out. Are there any pressures on you as to what material you record? No, not at all. We’re just writing and playing what we want, but our moods change. Like once we wanted a Dylan song as one of our singles, then we wanted this and that. But we always wind up doing our own – regardless of whether they flop or not, at least we’re doing our own thing. If you do someone else’s song every fifth single, it shows something’s missing. But you don’t throw just anything out on record. What do you do it all for anyway? I like to be involved, and I like music. The same old story – all that goody-goody stuff. Music is a love to me. I love it, and the people are so nice. [In a strained, sarcastic voice] The money’s great too. Many thanks to Steve Barker for his kindness presmission to reproduce his historical interviews. 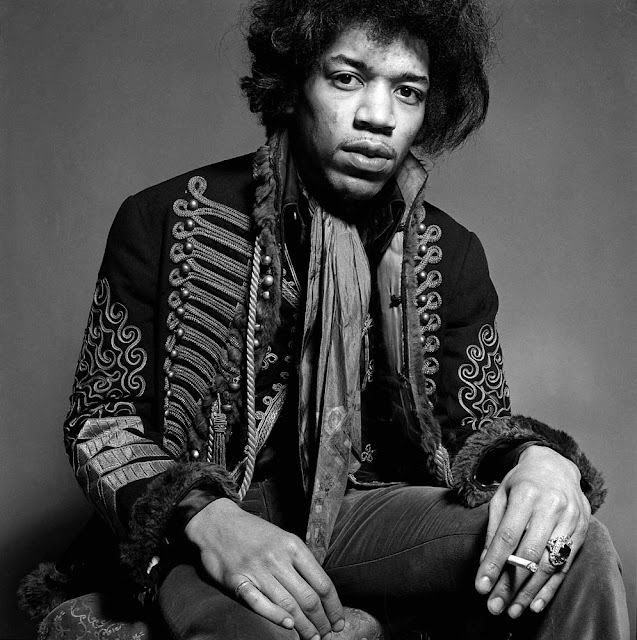 James Marshall, Jimi Hendrix, was born in 27 in November of 1942 in Seattle. Only a few names can be quoted with such importance in the way he changed, create and develop all the universe around the electric guitar like an expression tool. I wish invite you to this annual memorial to remember, make a tribute, gift a phrase or a sound of gratitude for his revolutionary, magical. everlasting and growing legacy. When I think about Jimi comes to my mind the idea of a electric flow pumped from an human heart. To me, Jimi was a lot like Albert Ayler or Dewey Redman or Pharoah Sanders – a genuine storyteller that could use raw emotion in extended doses, for extended lengths, with a core that was always natural and real. Like Wes, he is another musician who sounds better and better in retrospect – everything he played was so true. Hendrix was a universe apart who accidentally collided with ours, changing everything. His guitar playing, his approach to the instrument, the physical involvement he had with the object, his music. He flew across any music genre, contaminating jazz, rock, blues and beyond. He’s been a major influence on me, especially on the dynamic side of playing but mostly on the attitude toward music: no boundaries. He had none. As the years are passing I’m more and more convinced that he never left this planet. He simply mutated in pure energy. 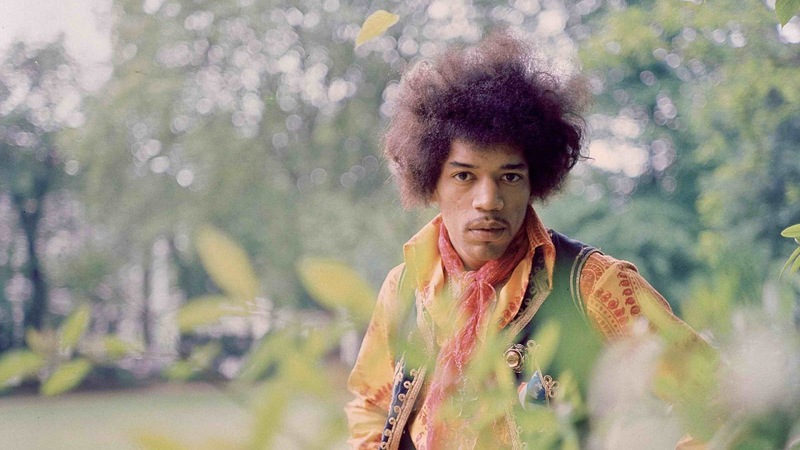 jimi ha reso suonare la chitarra un puro divertimento, il bello delle regole e' infrangerle! 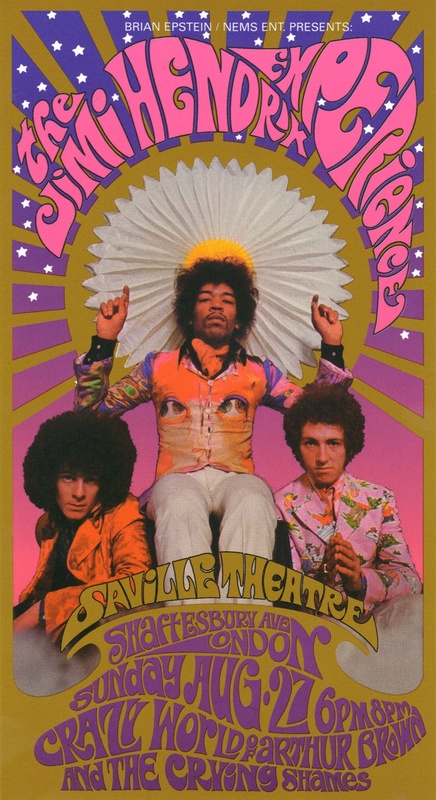 I attende his legendary Saville Theatre concert in London. I was playing around the corner at Bunjies Coffee Cellar and Dave Kelly, a very young Dave Kelly (from The Blues Band) came running in and told us to come and check out this guy playing....we did. Then we had to go back and finish our set. Difficult but inspiring in the long term. 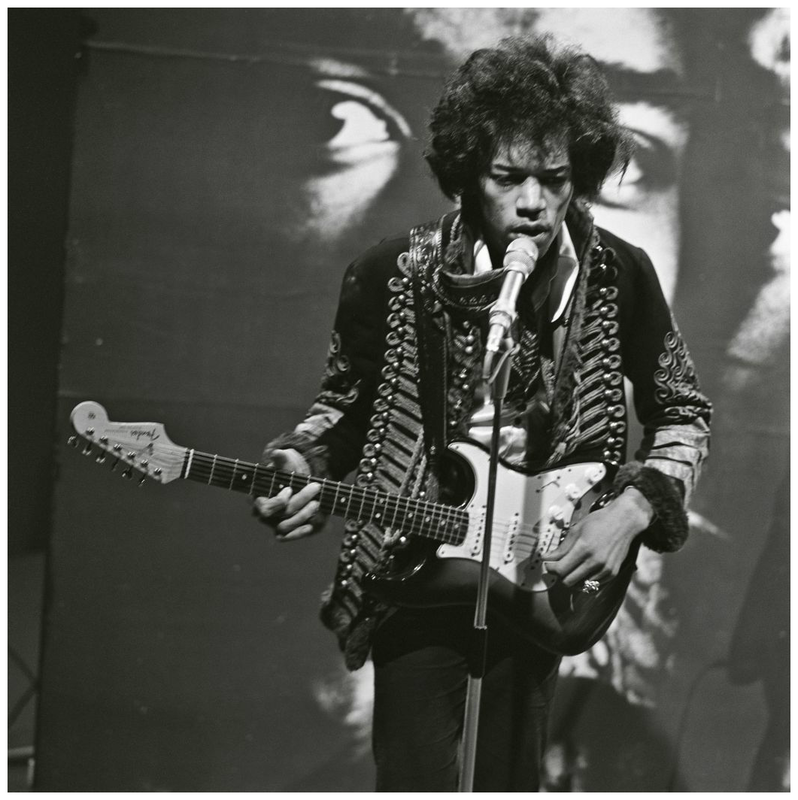 For all of us, for everybody who has also a small interest about guitar, Jimi is a turning point: there was a way to play guitar before Jimi and there is another way to play guitar after him. That is. Nothing else. 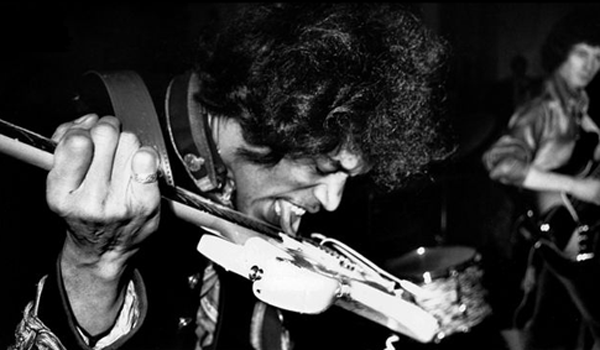 Every guitar player, it doesn't matter if he plays electric, classical or acoustic has to deal with Jimi, maybe fight against him, but there is no escape. Jimi was the demostration that Adorno was wrong: popular culture can grow over, can shows there is a new thing, a new way to be innovative and to escape oru cultural limits. That is. 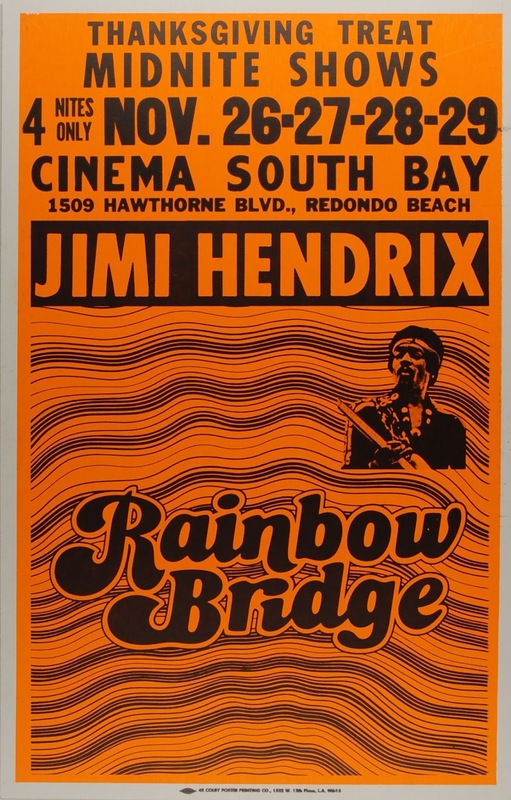 Everyone who knows me knows how much I love the music of Jimi Hendrix and has probably heard this story: early one morning in August of 1969 I hitchhiked down to to the City to wander around. I stopped into Manny's Music and was trying out a cheapo guitar. I was deep into the theory and practice of extreme guitar noise but as far as traditional guitar techniques went, I was a rank novice. I certainly knew the chords to G-L-O-R-I-A though and was pounding them out when I noticed directly in front of me a pair of gold boots and brilliant turquoise pants. I looked up. 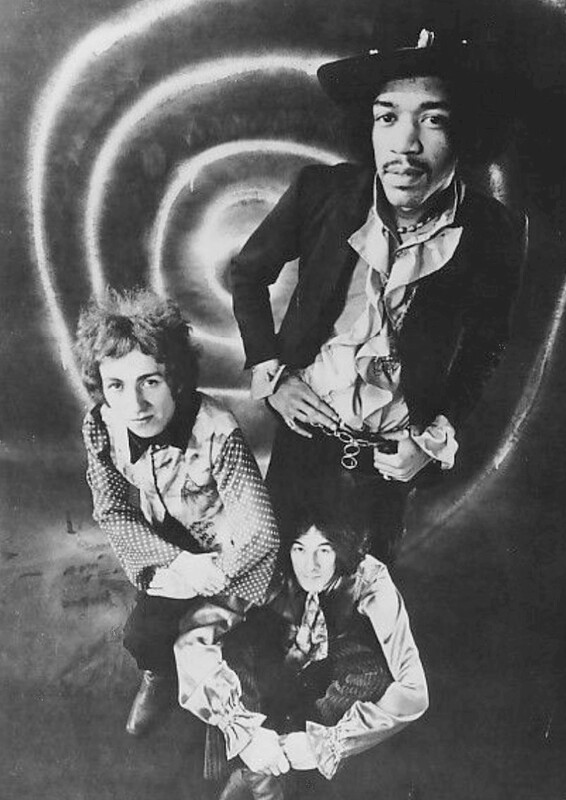 There standing in front of me, smiling down at me - Jimi. I looked up. I stuttered Uh Hi. He goes Uh Hi. 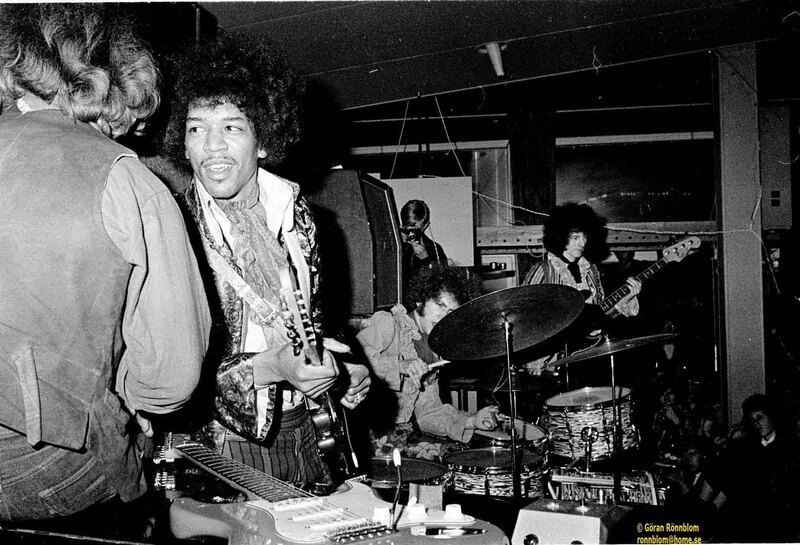 I put the guitar down VERY quickly while Jimi tried out fuzzboxes for the next hour or so while I floated. 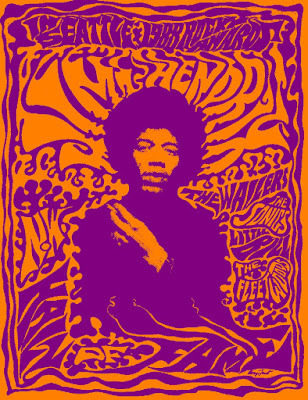 Para mi , Jimi Hendrix es el guitarrista eléctrico más importante de la historia, todo su arte, su forma de vestir, su sonido, su independencia para tocar y cantar, sus composiciones... son una sola cosa, una obra maestra terminada, perfecta. Es una de mis mas importantes influencias, sin ninguna duda. 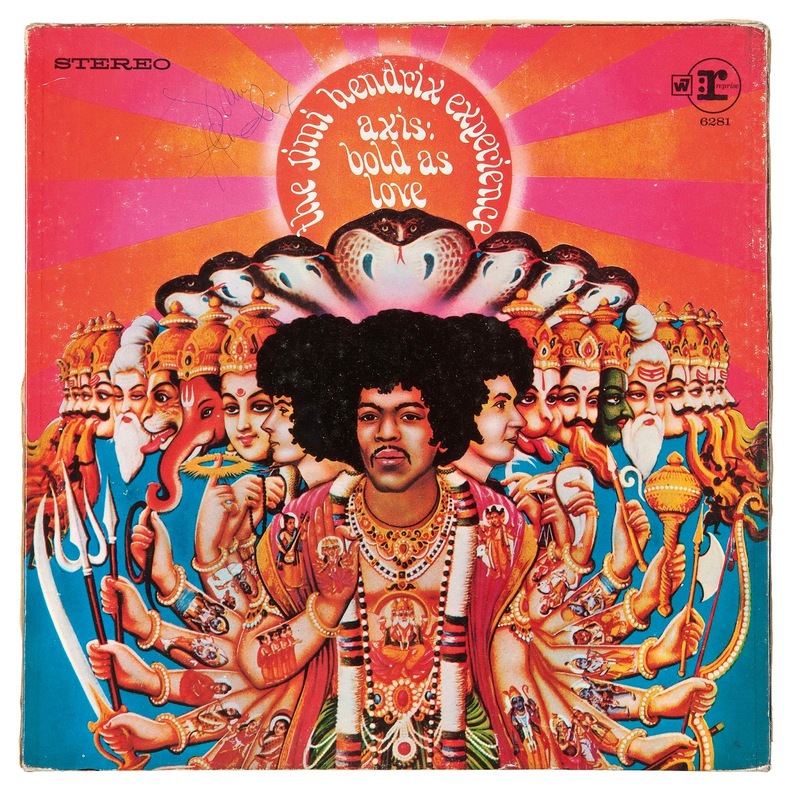 Y quiero decir en lo que Jimi jamás sera igualado: su intensidad, su energía es como la explosión de un millón de soles. Eso sólo sería suficiente para considerarlo el más grande de todos los tiempos. For me, Jimi Hendrix is the most important electric guitarist in history, all their art, their dress, their sound, their independence to play and sing, his compositions... are a unique, a finished masterpiece, a perfect one. It is one of my most important influences, without any doubt. 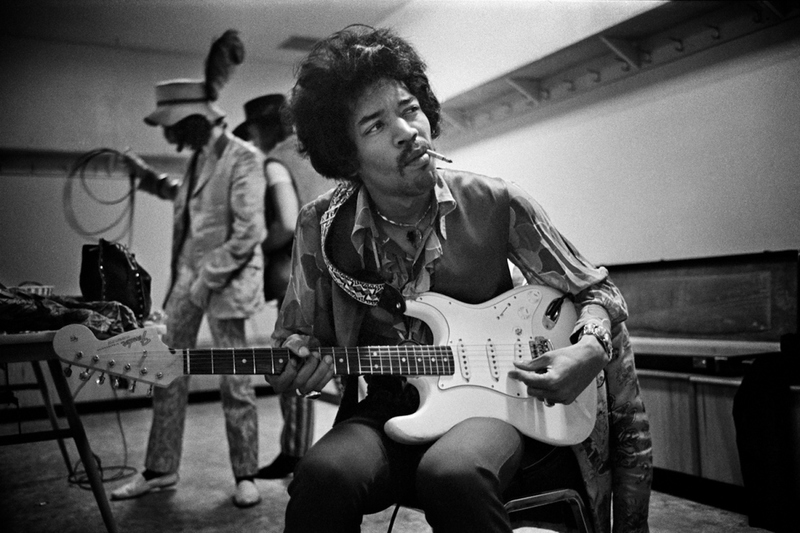 And I mean what Jimi never be equaled: in his intensity, his energy is like the explosion of a million of suns. That alone would be enough to consider the greatest of all time. 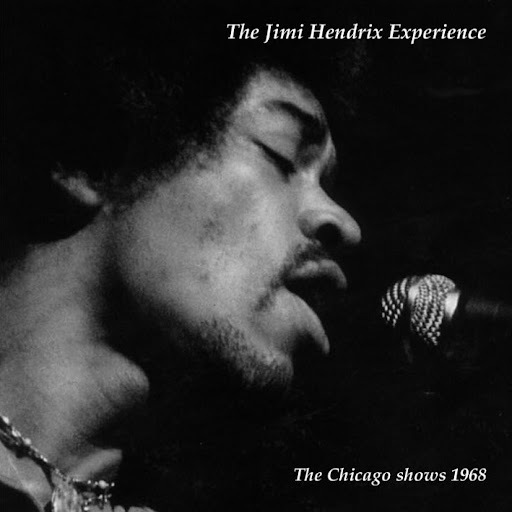 My first real exposure to Hendrix was when I heard the Experience at the Auditorium in Chicago. Friends had played a few album tracks for me, but they didn't prepare me for the live Experience. Before then I listened mostly to B.B. King and British pop stars. 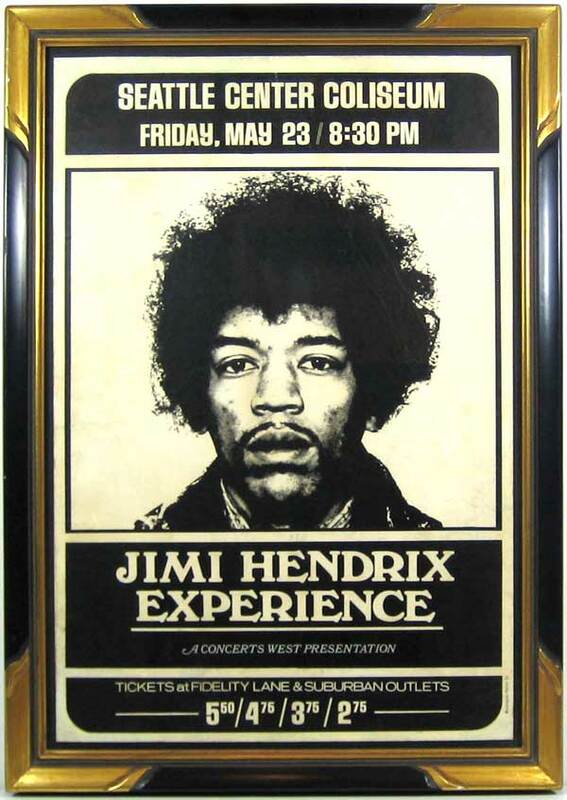 Hendrix changed the way I thought, in a visceral way, about the instrument and how I thought about music. I think the first person who kind of broke my mind was probably Jimi Hendrix. Listening to him opened my mind up to where you can take music and how far you can take rock n' roll. He's the reason I play guitar. I was listening to The Byrds when I was 10, to Roger McGuinn, and I was very enchanted with his playing on the 12-string. 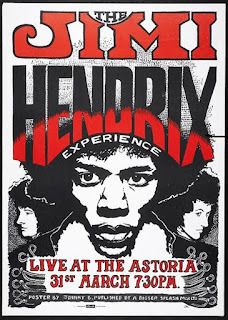 But it was hearing Hendrix's 'Manic Depression' that changed me. It was a new record that had just come out, and I hadn’t heard it, but me and my twin brother'd seen it, and it looked cool. In those days, there was no underground radio in California -- that was about two years away. We had bought records that looked cool, but sometimes they weren't all that great. They had a cool cover, cool band name, cool album title, but it was a crapshoot. We were spending our entire allowances on records back then, and didn't know what we were getting. We knew Hendrix's 'Are You Experienced?' had to be cool from looking at it, but when we heard 'Manic Depression' come on the top 30 radio -- which is still mysterious because the single was 'Purple Haze' -- we knew this was the record. That was like being jolted by electricity. It was like nothing we'd ever experienced before. It caught us off guard. And I knew immediately that playing guitar was going to be the path of my life. It was history, magic, electricity, coolness, all the above. So, Jimi Hendrix was the big “A-HA!” moment for me. You can predict many musical styles and trends based on knowledge of the past. You can have some early warning of hurricanes, floods. Maybe there's even a way to pick a winning horse consistently, or figure out where the stock market is going. 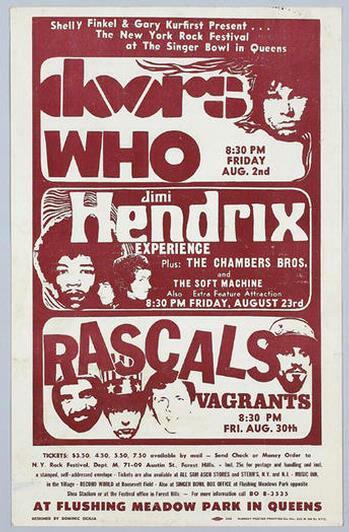 But no one could have seen Jimi Hendrix coming. 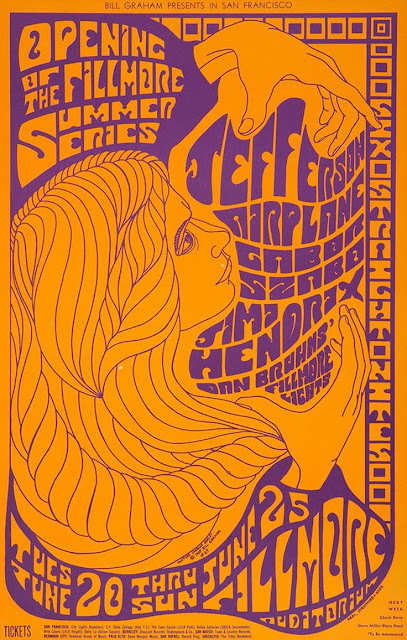 In March 1967 I heard CREAM with Eric Clapton for the first time, in April ROLLING STONES with Brian Jones and Keith Richards for the first time, in May YARDBIRDS with Jimmi Page for the first time and in June JIMI HENDRIX for the first time. In three months time, I as a 16 year old, heard five of the most influential rock guitarists of all time. 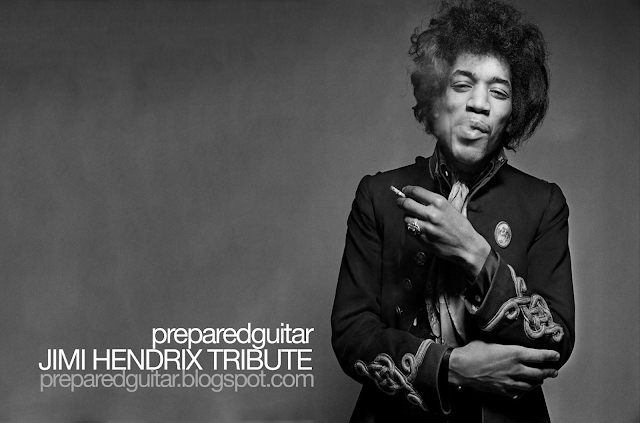 Hendrix's contributions are forever embedded in the DNA of music and the guitar. He was an iconoclast and game changer. Music/guitar was dramatically different after he came along than it was before. 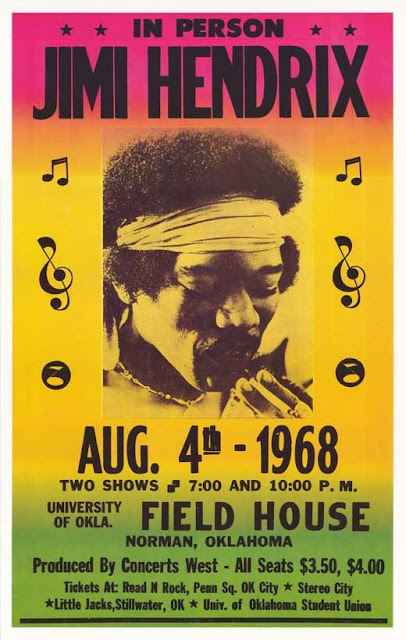 Whether or not you know it, Hendrix's unique and revolutionary style of playing, usage of effects, songwriting and production have profoundly reverberated in all branches of Black American Music. You cannot find ONE serious guitarist that has not been touched by his artistry the world over! The ink on my left arm reminds me every day to reinvest in my commitment to music and the guitar; to bring the same level of enthusiasm, personality, focus and even humor to what I do; to never give up and to always keep searching. 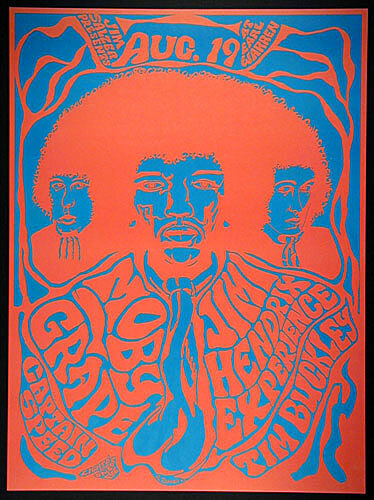 Jimi Hendrix is for me the beginning of the transformation of the electric guitar from an acoustic guitar with a little bit of apparatus added, to a whole other instrument altogether. 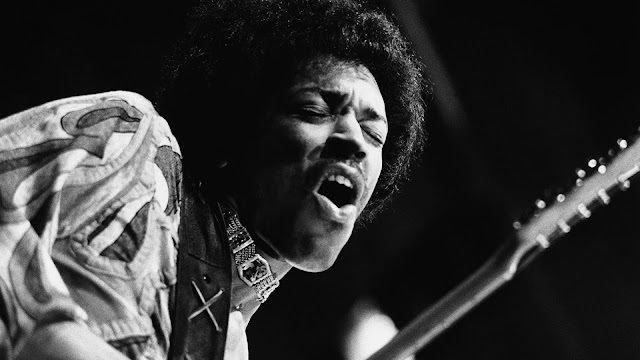 While the humble setup of fuzz, wah and uni-vibe with expression pedal may not seem like much, in combination with several marshall guitar stacks it enabled Jimi to transform his instrument as well as the sound of rock music as we know it. 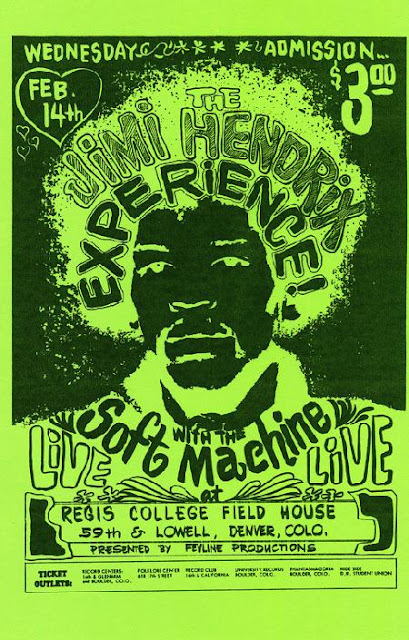 When Hendrix was alive, he was following technology closely, having pedals custom built and playing them onstage the same day. Roger Mayer ofter went to a gig do deliver an octavio in such a manner. I’m sure if he were alive today he would be using electronic processing in the same way as he used fuzz, without ever losing focus of the soul and emotion of the music. 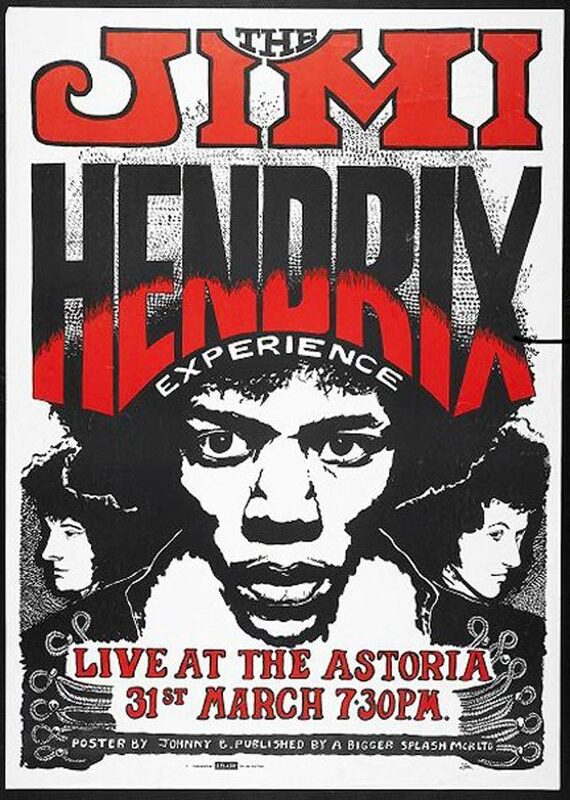 Jimi Hendrix changed my life... As a teenager I wore out a cassette tape of Axis:Bold as Love in my Walkman as I tuned out the stagnant and oppressive conditions and institutions I was thrown into. His albums were a sanctuary of fuzz, fantasy, and blues revolution. His live shows, which I have only experienced on recordings (the man died nearly a decade before my birth), are high energy infernos that continue to inspire the sonic environments I attempt to create with my electric guitar and my band, Ahleuchatistas. Unrelenting, generous, ecstatic outpourings of passion, beauty, honesty, and grit. Happy birthday Jimi, I humbly bow in gratitude before your legacy. Everybody has a Jimi Hendrix story, here’s mine. 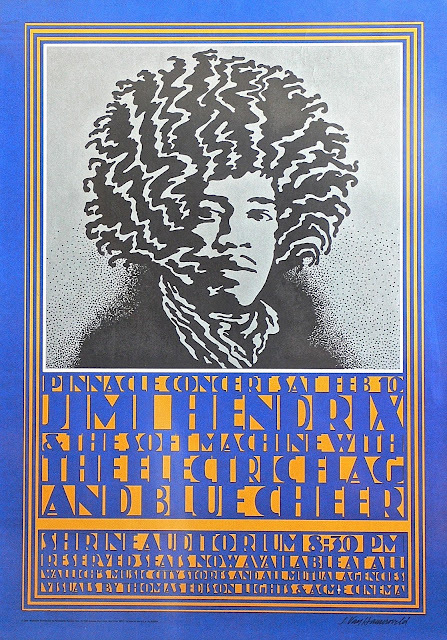 When I was a kid, seven, I guess…I heard Jimi Hendrix’s early singles on the AM radio. 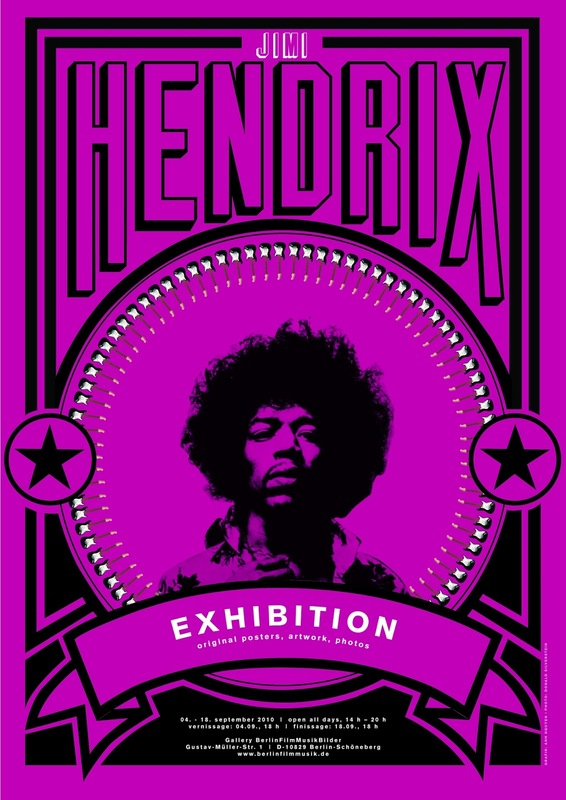 Hey Joe, Purple Haze, Foxy Lady and my favorite, Manic Depression. I loved this music! Later, my sisters owned the Experience album with the fisheye lens portrait of the band…and later, Electric Ladyland and Cry of Love too. 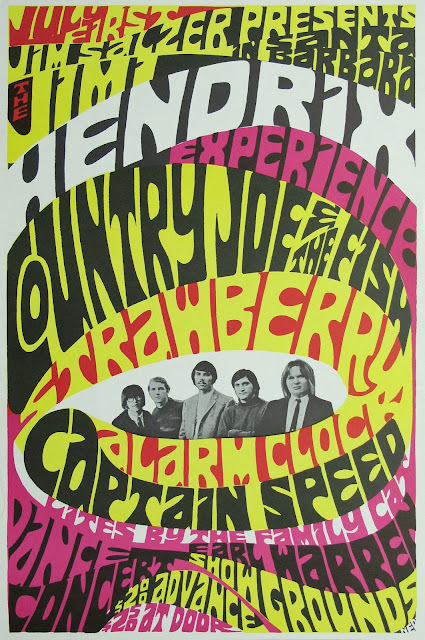 In contrast, the Beatles were lightweight compared to Hendrix. Heavy. I was a child and taking my first piano lessons when I first heard Hendrix By adolescence, I was playing guitar and learning songs off records. 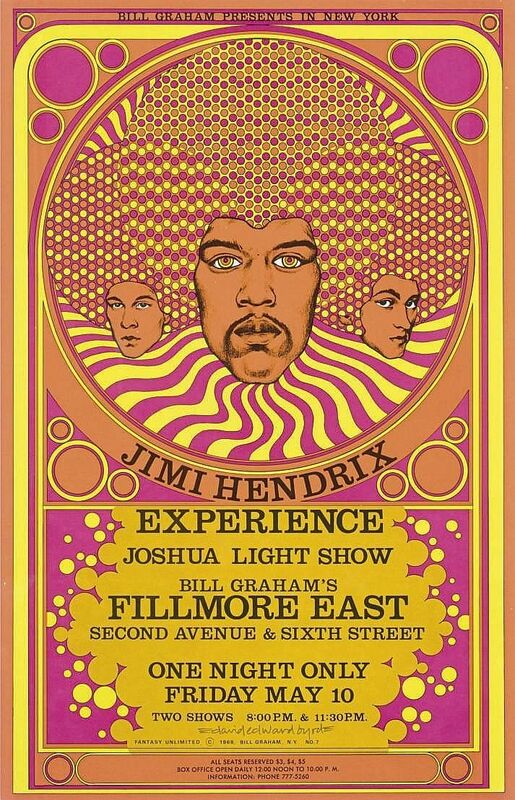 Unlike later rock acts, every song was an opportunity for Hendrix to generate another white light/purple explosion guitar solo. 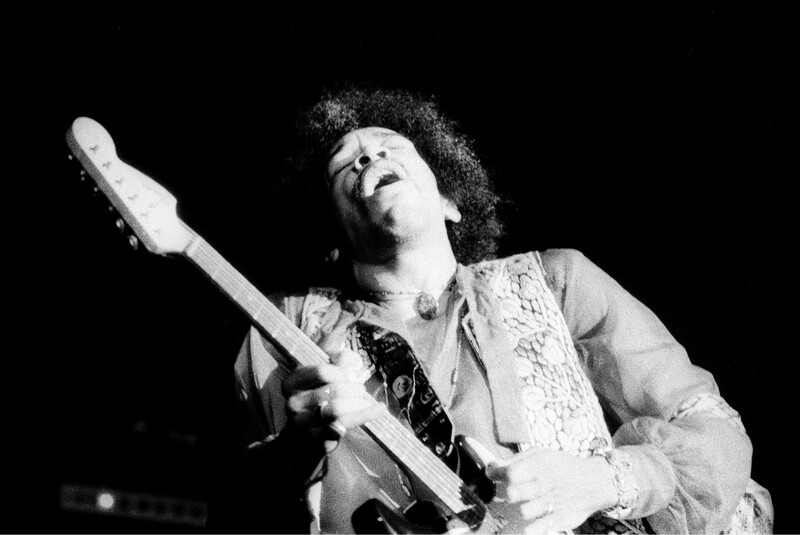 While a lot of rock musicians stayed in safe territory, close to the recorded version of a song, Hendrix was always looking for new ways to channel energy. He was closer to the spirit of Jazz, improvising a new version of the tune with every performance. Surprise. I was a bored ten year old and I would watch for the mail and local newspaper to be delivered every day. 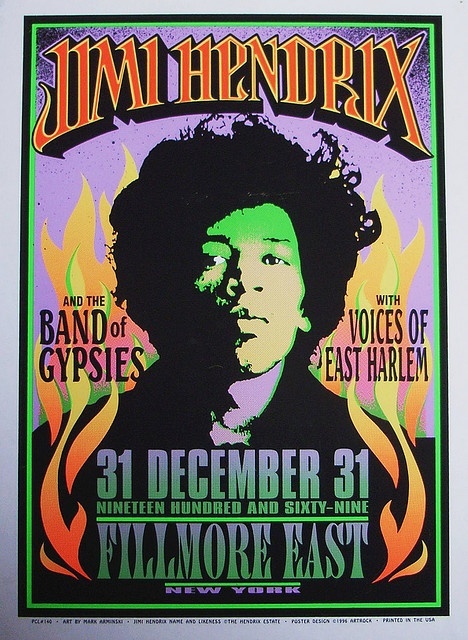 I remember seeing the news of Jimi Hendrix’s death in the NJ Home News. I didn’t understand the impact of this event at the time, but it was sad day all the same. 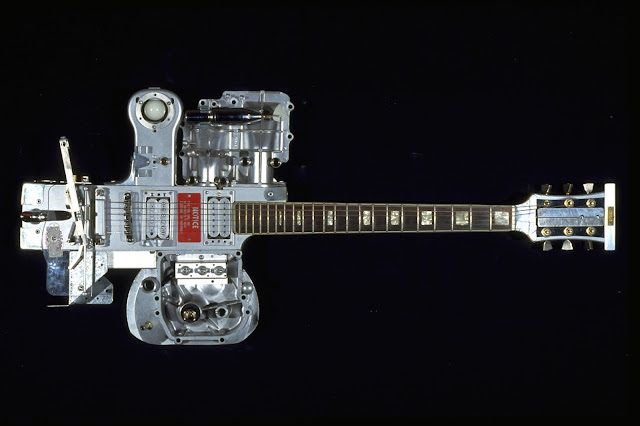 Technology was changing quickly at the time, new recording hardware and guitar doodads appearing weekly. 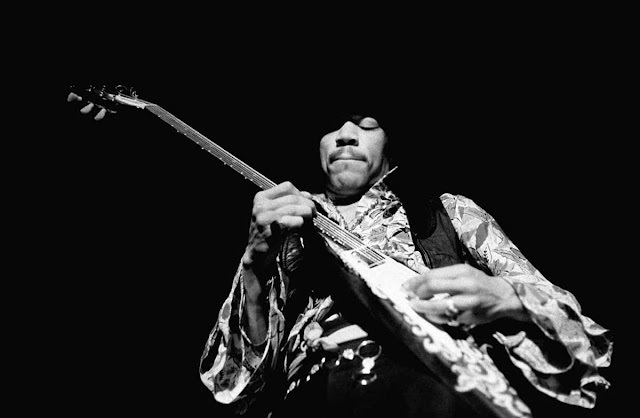 Hendrix embraced it all, following Les Paul down the rabbit hole of studio experimentation. Magic. Hendrix was my early inspiration for cutting loose on the guitar, to make my mark on a tune. Any sound was OK, from the blues to a loud scrape on the strings to outside atonality. Discovery. The man played an electric guitar and showed us the way. Happy Birthday Jimi Hendrix, genius of modern music. 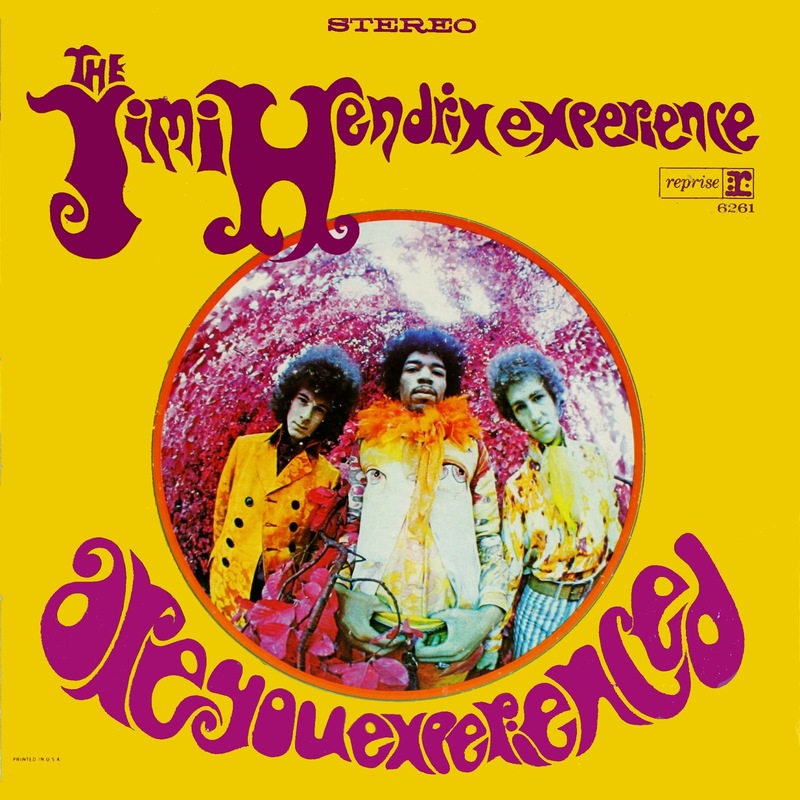 It is imprinted in my mind when 2 friends and I lowered Are You Experienced onto the long spindle of my portable record player in my college dormitory, fresh from the record store, and being absolutely stunned by the music, the new sounds, and the intense emotional contact. To my ears, there is still nothing quite comparable. 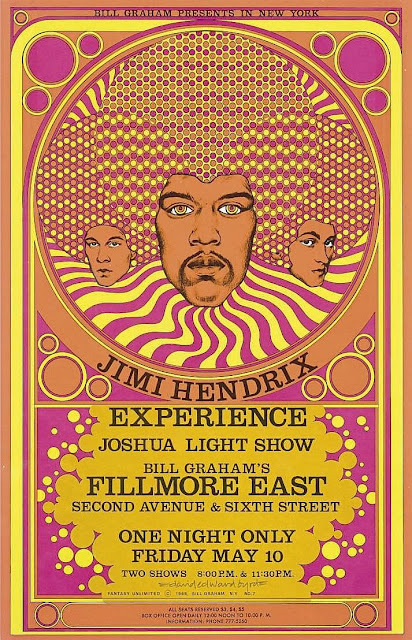 Perhaps Hendrix is the only electric guitarist? Everyone else plays amplified guitar? .... I saw Hendrix twice but have the strongest memory of the second concert, with Soft Machine opening, when I recall, pinned to the back wall of the small college theater in Denver, that he started Foxy Lady VERY VERY slowly ….. Much much later I fantasized about Hendrix playing my Manifold Guitar. 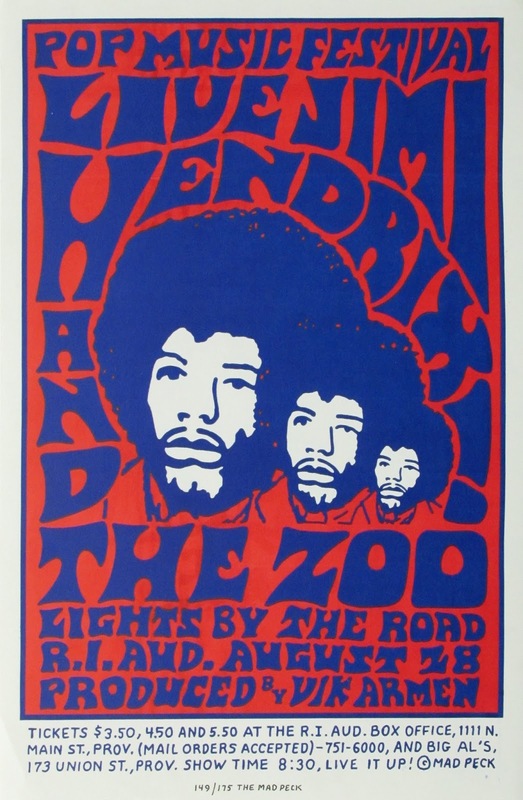 Jimi was a tremendous influence and a huge part of my development as a musician and artist. His music still touches me deeply and after all these years, I always hear something new when listening to him. Jimi was a rare combination of great guitarist, songwriter, studio master and sonic experimenter - just listen to his 1983… (A Merman I Should Turn To Be) for proof of that. And as a performer he was simply incredible. Here’s a video of me performing his rendition of All Along The Watchtower. His playing on this track is timeless. Always a daunting task trying to recreate Jimi even for an instructional video. Besides that, it was simply fun to do. I guess it was about 40 years ago when I first listened to Hendrix. I had a mono record player, but after I heard EXP on “Axis Bold as Love”, utilizing lots of panning effects, I bought a stereo system, mounting the speakers right next to my ears so I could experience them better. Then I watched his performance in the Woodstock movie, and his energy and screaming guitar still throws chills down my spine. I sold the electric I had and bought a Strat plus a distortion pedal, to the dismay of my parents. How does one relate to music one heard 40 years ago? If it was the noise and the stereo field, here’s a track the way how I’d approach that today. The first time I listened to Jimi Hendrix. I remember it very well. I was ill at home lying on the couch drowsy with fever and the TV was on. They were showing a documentary about Woodstock. 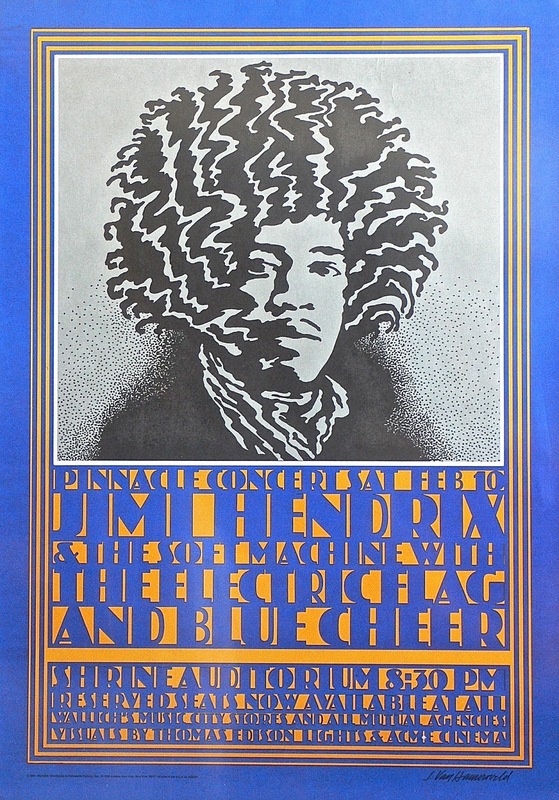 I woke up towards the end and heard Jimmy Hendrix playing "Star Spangled Banner." I was completely mesmerized. I remember getting up and turning up the TV. I had probably heard it before, but that's when it clicked in. I was 13, the age when you start absorbing music. My father had been trying to teach me guitar ever since I was six, without much success. After the film was over I picked it up and I thought, how do I do this? And I just practiced and practiced and practiced. From that moment on I was inseparable from my guitar. Jimi Hendrix? Freak, outsider, odd, different, hip, new, artist, musician, genius, revolutionary, visionary, psychedelic,fashion trendsetter, blues man, black, sexual, hippie, drug addict, guitar master, noise, sonic landscaper? With just a mention of his name, images and opinions immediately present themselves that are as vast and diverse as his music ever was. 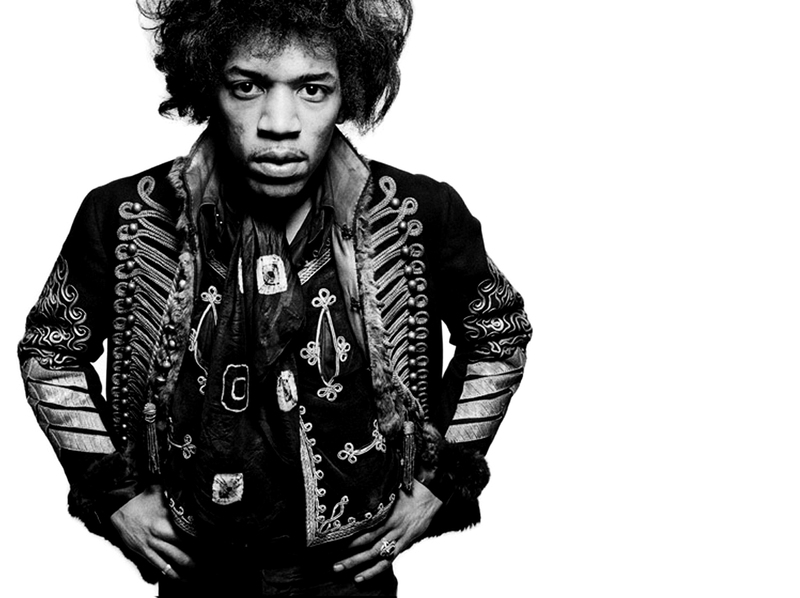 One thing is for sure, very few have left such an impact on a society and it’s culture as James Marshall Hendrix. The cover alone separated itself from the collection. But it was the question that was put forth by it’s title, that made me acknowledge that I wasn’t but wanted to be, “experienced”. Watching as the needle touched down, releasing a barrage of sounds that my young mind was not yet able to comprehend, I knew immediately that I was never going to be the same. Years have gone by, and I still find myself playing in this sonic playground. 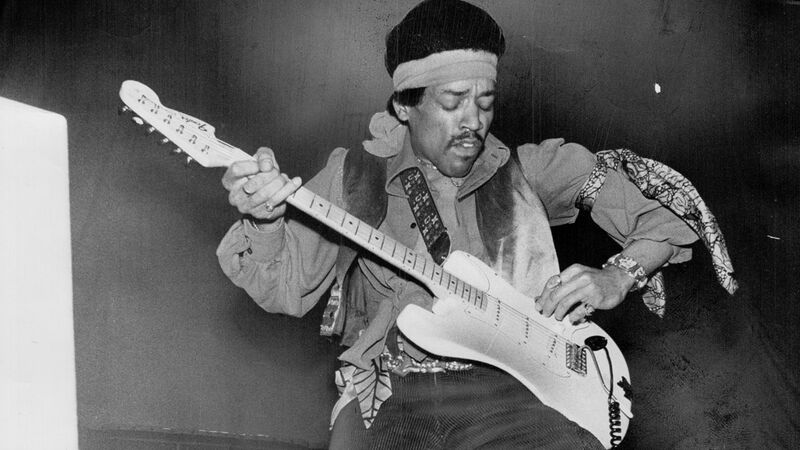 Like a lot of you, I will never play like Jimi Hendrix. But I must say, I don’t want to either. He made it ok to be yourself and take chances, which I have always embraced with open arms and ears. So however you find joy in expressing yourself, take Jimi’s advice and let your freak flag fly. 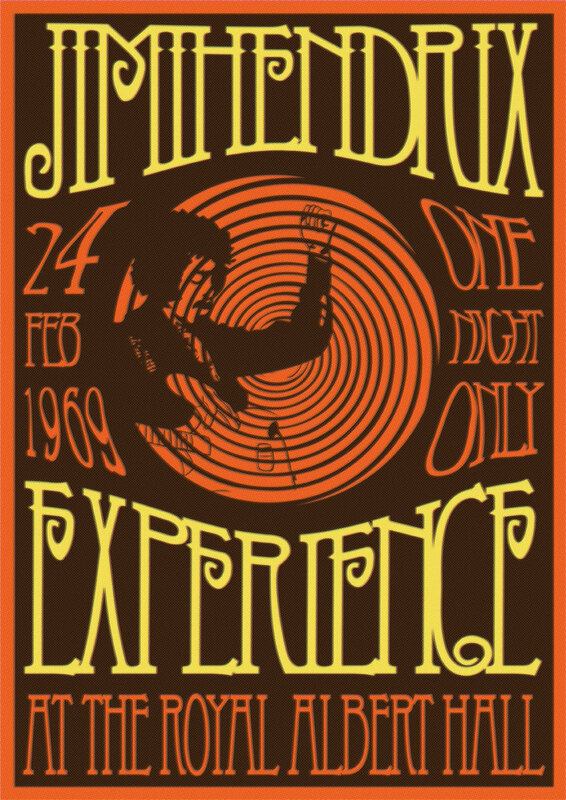 Then if you are ever asked the question, “Are You Experienced?”, you can say yes, yes I am. 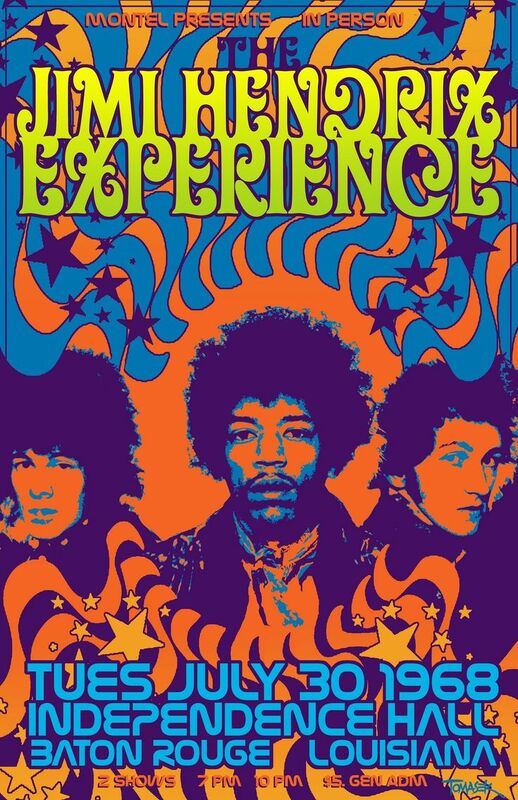 Hendrix taught me everything I know, he was the reason I picked up the electric guitar. His message goes hand in hand with the message of I Know I'm Alien, as I believe Jimi wasn't from here. He was an interstellar multi-dimensional space yogi who was pure of heart and when faced with war, violence and greed that he couldn't understand, he fought back through vibrational frequency healing: music. 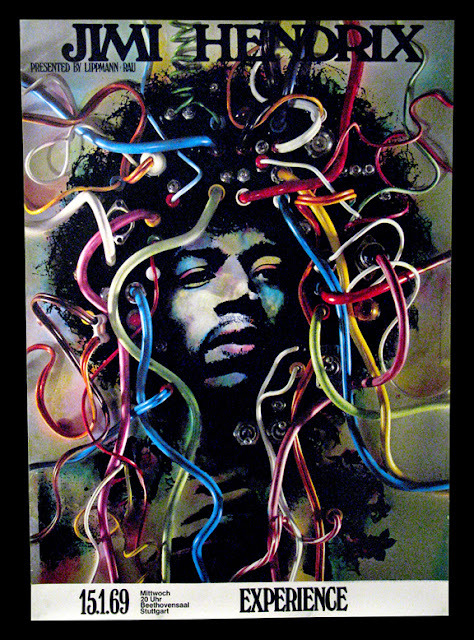 In the long, complex history of the electric guitar, Jimi Hendrix stands out to me for his vision, courage, and utter inevitability. Hendrix's music is so perfect in its ragged imperfection that it almost feels invented. It sits at the intersection of so many currents--not just the evolution of linear blues guitar but also the transition from Wes Montgomery's melodic invention to Sonny Sharrock's improbable rhythmic noise, transliterating Albert Ayler's ecstatic, lo-fi screams to the realm of 50's/60's studio experimentation. Hendrix is simultaneously the culmination of one thread of African American sonic innovation and the epitome of everything weird and wonderful about 60's pop culture, representing art that is both militant and accessible, progressive and eminently populist. 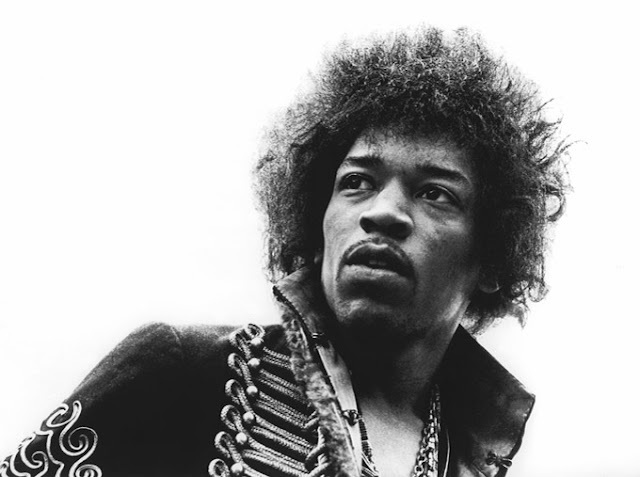 Hendrix's legacy and music are a mess, but they are a necessary mess. 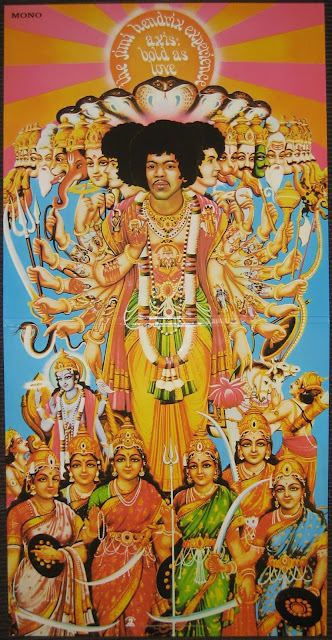 My favorite Hendrix record is the typical "outsider" choice: Electric Ladyland. Lacking both the compact, wiry urgency of Are You Experienced and the rugged finesse of Axis: Bold as Love, Ladyland feels like the one album on which Hendrix the cunning perfectionist and Hendrix the unbuttoned revolutionary seem to co-exist. For every three-dimensional, impeccably mixed studio creation therein ("Crosstown Traffic," "All Along the Watchtower"), there is something sprawling, weird, and mutated ("Voodoo Chile," "Rainy Day, Dream Away"). 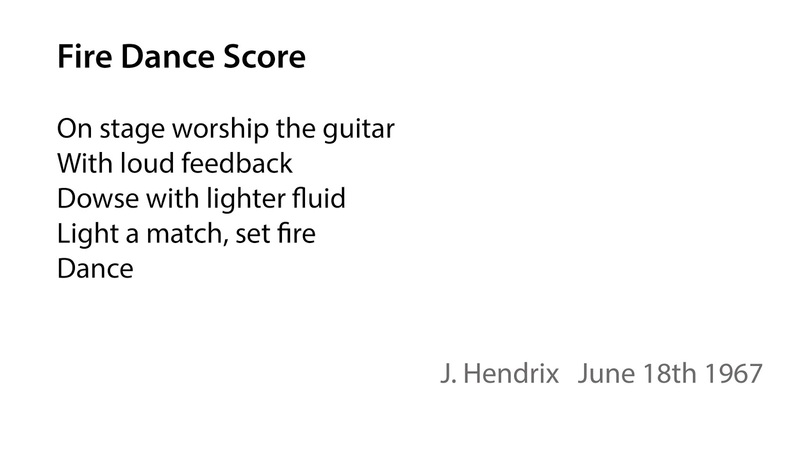 On those handful of truly transcendent moments when these cross-purposes are in unity, the music is absolutely incomparable--from the apocalyptic stereo terror of "Voodoo Child (Slight Return)" to the proto-ambient melange of "1983... (A Merman I Should Turn to Be)." This is the Hendrix that I return to for enjoyment, inspiration, and motivation--a summary of his contradictions, and absolutely beautiful because of (and not in spite of) the chaos. I do love fuzz. I build some. I grew up listening to punk rock and free jazz. So I discovered Jimi's music late (hippies music was kind of top of the uncool in my mind) buying a LP for 1$...I think i've heard Gil Evans versions before the originals. Then I've realize that Hendrix, with few others, helped to make the electric guitars and bass more than a fake instrument that need microphones, but a true expressive instrument: the electricity. Here's a solo i've recorded at home few years ago that explore the lyricism of electricity...something that recalls me of Jimi's mode. Peace.